Halo E-cig is known to be an innovator in the world of electronic cigarettes, as it always brings high quality, all-American products to the market. The e-cigarettes and e-liquid offered by Halo are tar-free and meant to provide the freedom to smoke and enjoy smoking everywhere you go. As opposed to many e-cigarette brands that use e-liquid manufactured overseas with inferior ingredients, the Halo ecigarette uses only ingredients approved by the FDA and FEMA, so that the end products are of premium quality. The design of the Halo e cigarette is very stylish and the battery comes in five different colors. Also, buyers have the possibility to choose between two manual batteries, two automatic batteries or one of each, according to their preferences. The battery will last for approximately 4 to 6 hours without requiring a recharge. In terms of flavors and nicotine levels, Halo electronic cigarettes come in a wide variety. You can choose between five nicotine levels, the lowest being 0 mg and the highest being 24 mg. There are 23 flavors available for the Halo e cigarette: Menthol ICE, Twisted Java, Belgian Cocoa, Tiki Juice, Longhorn, Midnight Apple, Shamrock, CoolMist Menthol, Prime15, Freedom Juice, Kringles Curse, Tribeca, Captain Jack, Café Mocha, Mystic, Turkish Tobacco, Torque 56, HX3, Bella Valente, Malibu Menthol, Truepure Menthol, Fusion, and Smooth 8, all of them 100% made in the USA at the highest quality standards. Halo electronic cigarettes have a two piece design, with the atomizer built in the cartridge for a better handling. Committed to safety and to producing premium e-cigs, they chose the two piece design in order to ensure that the vaping experience will not be compromised by dirty and messy atomizers. 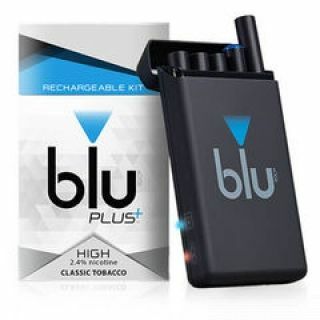 Halo has two different e-cigarette options: the G6, which is a two-piece cig, and the Element, which has a three-piece design and is mainly preferred by more advanced e-cig smokers. The G6 Starter Kit offered by Halo comes in nine different colors and contains two batteries, two blank cartomizers, one wall charger, five filled cartomizers, one USB adapter, one cartomizer case, one storage tin, and an instruction manual. Without a doubt, this is one of the best products on the market at the moment. The look, the sensation and the vapor release are top of the line, visibly better than anything else available. Halo cigarettes are available at a very reasonable price and are perfect both for beginners and more advanced smokers. All in all, Halo’s products and technology are top notch, offering customers all the necessary means to enjoy vaping at its best.